Section 1. This organization shall be known and designated as the Lake Region Firefighters Association. Section 1. The mission of this association shall be to promote the general welfare of all fire departments and to provide each community with a more effective fire department. Section 1. The Lake Region Firefighters Association offers two (2) types of membership. Those memberships include an Active Membership and an Associate Membership. Section 2. An Active Membership is available to any fire department that is located in the Lake Region or, to a fire department that is adjacent to the Lake Region and wishes to join the association. Section 3. To entitle any fire department to become a member of this association, it must be an organized fire department in the State of Minnesota. The fire department must be nominated by an active paid member of the Lake Region Firefighters Association. The fire department’s request for membership will be voted on by the Active Membership at the association’s next meeting. The department’s Fire Chief is strongly encouraged to be a member of the Minnesota State Fire Chiefs Association. Additionally, fire departments in the association should be a member of the Minnesota State Fire Department Association. Section 5. Agencies and organizations possessing an Associate Membership are non-voting members. Section 6. An emergency service provider can submit an application for membership to the Lake Region Firefighters Association by submitting a letter to the association’s Secretary/Treasurer no later than September 1st of each calendar year. An Associate Membership will be granted by a majority vote of the Board of Directors at their annual meeting held in September. Section 1. The officers of the association shall consist of a President, Vice-President, and a Secretary/Treasurer. These officers shall be elected. Section 2. It shall be the duty of the President to preside at all meetings. The President shall appoint all committees. The President or Vice President shall countersign all payments made by the Secretary/Treasurer. Section 3. In the absence of the President or inability to perform his/her duties of the office, the Vice President shall perform the duties of the President. In the absence of both the President and Vice President, the members shall elect a temporary Chairperson from the Board members that are present. Section 4. It shall be the duties of the Secretary/Treasurer to keep a correct and accurate record of all the proceedings of the association and conduct all correpondence pertaining to the office. The Secretary/Treasurer shall also receive all money due to the association and shall present a written report at each meeting. The Secretary/Treasurer shall perform such other duties of the association from time to time as designated. Section 5. The President shall be compensated in the amount of $200 per year. The Secretary/Treasurer shall receive an annually salary of $599. Section 6. The Board of Directors shall consist of eleven (11) members. The Board shall include the President, Vice President, Secretary/Treasurer, and the most recent living Past President of the association. Each of the associations’ four districts is responsible for presenting to the region a member for the Board of Directors. Members to the Board shall be elected from the First and Third Districts at the association’s annual meeting in the even years and shall serve for a two (2) year term. The Second and Fourth Districts shall elect their Board members in the odd number years. The two districts shall caucus at the association’s annual meeting to present to the membership their district’s choice for membership on the Board of Directors. 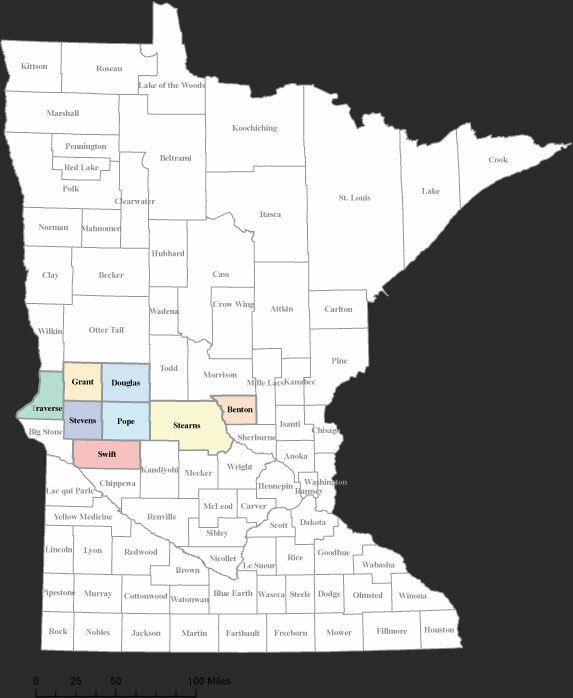 In addition a member shall be elected to represent the Lake Region to the Minnesota State Fire Chiefs Association, the Minnesota State Fire Department Association, and the Minnesota Fire Service Certification Board. These representatives shall also be on the Board. Section 7. The Board of Directors will meet no later than 21 days prior to the annual meeting to compile a list of nominees for the open offices of the association, and to conduct any other necessary business. Meal expenses for this meeting shall be paid for by the association. Section 8. All persons nominated must give their consent to be a candidate for the proposed office. Section 9. A list of nominees for all open positions shall be provided to all fire departments that are members in good standing of the Lake Region Firefighters Association prior to October 1st of each calendar year. Section 10. Incumbent officers (except for the President) may be re-elected if nominated and defeated for a higher office. Section 11. In the event there are no nominations made after two calls to fill an officer position, the incumbent officer, whom has fulfilled the term according to the by-laws, may be nominated. The position will be extended for the incumbent officer for another 3 year term. This term may only be extended one time. Section 12. To be considered as a candidate for an Officer’s position within the association, candidates must meet one of the following criteria. 1. Be a current member of a Fire Department in the Lake Region that is a member department in good standing. 2. Be an Honorary Life Member of the Minnesota State Fire Departments Association. Section 13. If an Officer or Board member should retire from their Fire Department while holding a Board position and is an honorary life member as describe in Article IV Section 12-2, that person shall be allowed to complete the term of their position. Additionally that person if they shall so desire could seek re-election for no more than one additional term. Section 14. The President, Vice-President and Secretary/Treasurer shall hold a given office for no more than three (3) consecutive years. An officer re-elected under conditions specified in Section 11 may serve an additional three (3) year term. Section 15. The Minnesota State Fire Chiefs Association representative or alternate shall attend association meetings and provide a report to the Lake Region Firefighters Association at their quarterly meetings. The MSFCA representative shall be reimbursed for conference expenses. The amount allowed for conference expenses shall be evaluated at the annual Board of Directors meeting. Any proposed changes to the amount allowed for conference expenses shall be acted on at the association’s annual meeting in October. The Minnesota Fire Chiefs Association representative shall be voted on in odd years for a two (2) year term. Section 16. 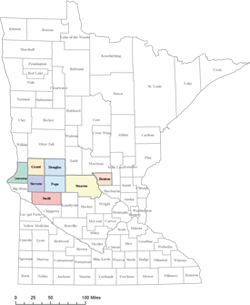 The Minnesota State Fire Department Association representative or alternate shall attend association meetings and provide a report to the Lake Region Firefighters Association at their quarterly meetings. The MSFDA representative shall be reimbursed for conference expenses. The amount allowed for conference expenses shall be evaluated at the annual Board of Directors meeting. Any proposed changes to the amount allowed for conference expenses shall be acted on at the association’s annual meeting in October. The Minnesota State Fire Department Association Representative shall be voted on in the even years for a two (2) year term. Section 17. The Minnesota Fire Service Certification Board Representative shall be voted on in the even years for a two (2) year term. Section 18. The MSFCA and MSFDA representatives or alternates along with the Minnesota Fire Service Certification Board member shall be compensated for their mileage for attending board meetings. Mileage shall be paid at the federal mileage scale. Section 1. There shall be four (4) regular meetings per year. When a Lake Region Fire School is held, a short association meeting shall be conducted. The second Monday in January, and the third Monday in April, July and October are the regular scheduled meeting dates. The October meeting shall be the annual meeting of the association. The fire school will be on a date selected by the host department. Each of the four (4) Districts shall be responsible for one (1) meeting per year. Section 2. The location of the quarterly meetings shall be determined at the annual meeting. The departments in each district will bid at the annual meeting for that districts respective meeting site for the upcoming year. For historical purposes, beginning in 1985, the First District hosted the April meeting, the Second District the July meeting, the Third District the October meeting, and the Fourth District the January meeting. Each year thereafter, the respective districts hosted the quarterly meeting one meeting later than the previous year. For example in 1986 the First (1) District hosted the July meeting, the Second (2) District hosted the October meeting and so on. The Secretary/Treasurer shall notify member departments by the first of the month as to the date place and time of the upcoming meeting. The purpose of the meeting shall be stated for special meetings and meetings at which a change in the association’s by-laws will be proposed or voted on. Section 3. A special meeting of the membership of this association shall be held upon order of the Board of Directors. Section 4. Before a membership meeting shall be called to order, a quorum shall be present. A quorum shall consist of eight (8) member departments. Section 1. The membership fees for the association shall be determined at the annual meeting for the following year. The membership fees for each year are payable on or before the annual meeting. If any association member is in arrears at that time, the Secretary/Treasurer shall request payment by statement. Section 1. Each department affiliated with this association shall be allowed one (1) official voting delegate at the meetings. No votes by proxy shall be permitted except as here provided. Section 1. The department conducting the fire school shall be paid the sum of $10.00 from each paid membership fee of the active departments in the association. Section 1. These by- laws may be amended by a majority vote of the members of this association. Section 2. Any proposed change of these by- laws shall be laid over until the next regular meeting. The Secretary/Treasurer shall notify all members of any proposed changes in the by- laws. Any member department not able to be represented may vote on the proposed change by proxy.